Summer’s here, and as we’re in South Africa that typically means some sweltering times are ahead. But let’s look on the bright side, as there are numerous ways to keep us cool – including diving into a lush and fabulous swimming pool. But today we don’t want to focus on just any pool, but rather house-and-pool combinations that can be found locally. 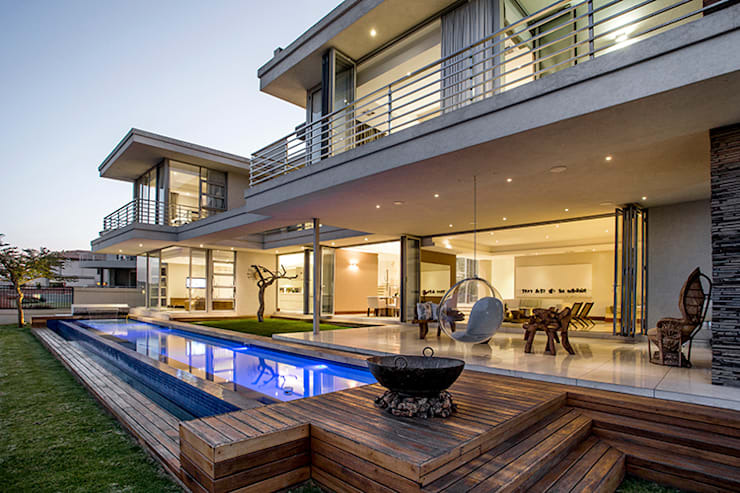 Yes, we feel that in order to get ourselves ready for summer (and the holidays), it’s time to dream a little bit about stylish living spaces and cool-blue swimming pools that are found right here in South Africa. Good ol’ Pretoria treats us to this traditional contemporary creation which knows just how to flaunt the right surfaces: stone, glass, sink, and H2O! 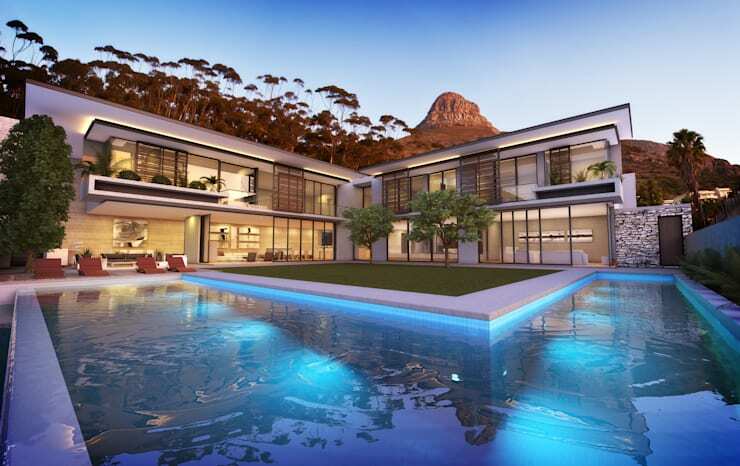 It can’t be denied that the mountain in the background (and the sea views at the back of the house) also play major parts in this Cape Town house’s stunning look. See how beautifully the back yard opens up to the lawn and pool via a generous dose of windows and glass doors. This ultra contemporary structure in Bedfordview, Gauteng, with its raw and rustic materials hits the style spot just right. And we are sure that this rear side of the house sees its fair share of many social gatherings and peaceful relaxations. There is just nothing quite like a wooden deck surrounding a pool, is there? 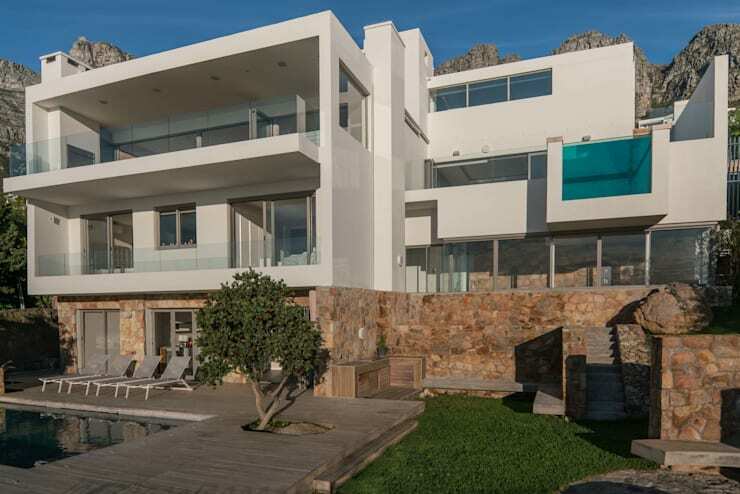 Cape Town does it again with this stunner that provides both a spacious lounging area and a sea view. This modern house enjoys a fantastic combination of soothing materials, as well as clean and open spaces, which ensured itself a spot on our list! 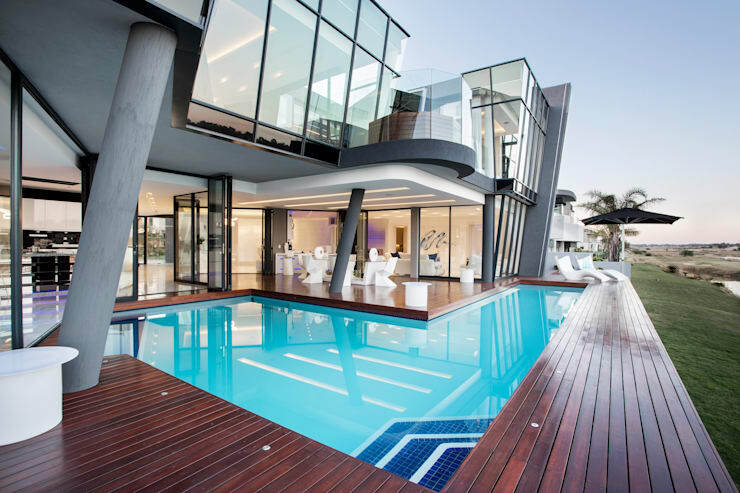 This state-of-the-art structure in Gauteng has a very unique “glitz and glamour” look that is just so pleasing to the eye. And just check out the fancy exterior dining spot past the pool! 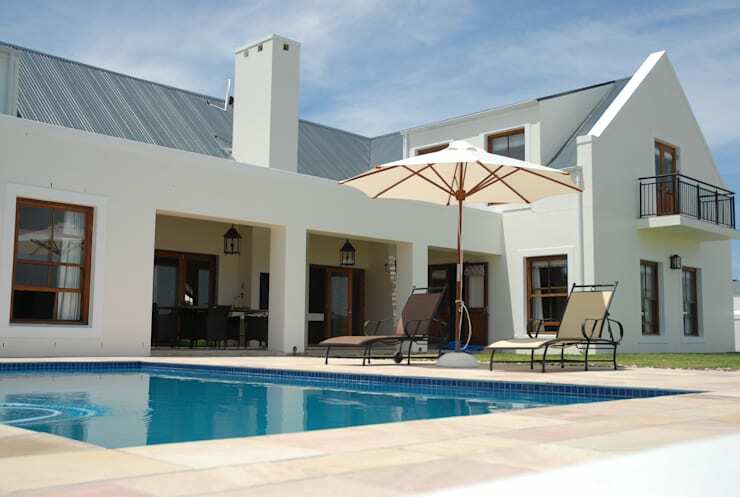 A house with a pool in the middle of the Cape winelands? This must be heaven! Just look at all the fabulous features: a swimming pool, stylish loungers, a shaded terrace with various seating options, as well as an outdoor dining spot for those magnificent al fresco summer evenings. 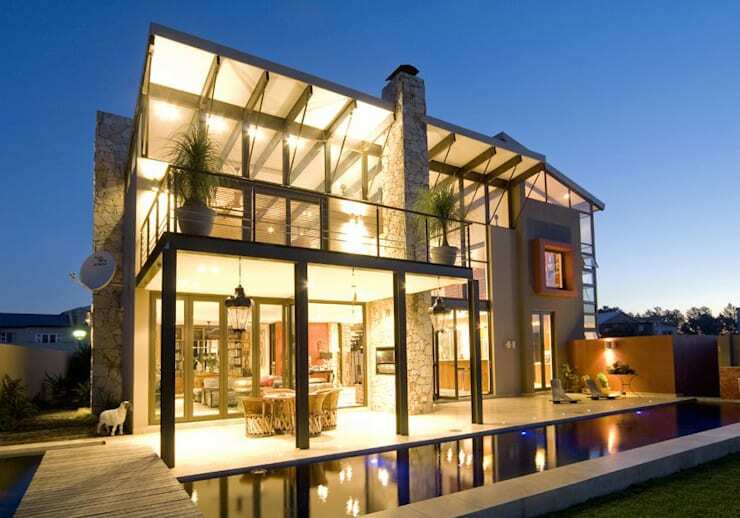 Resembling more a Mediterranean hotel than a house, this Cape Town beauty sure knows how to turn heads. Aren’t those original Spanish-plastered walls and wrought-iron balustrades just to die for? 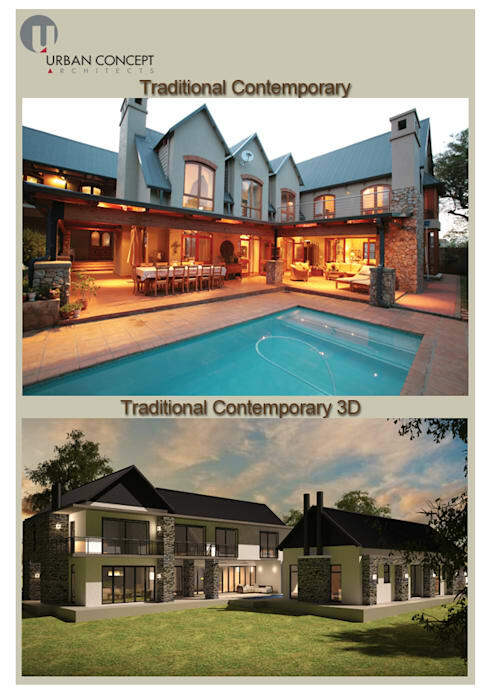 Even though this Johannesburg house is a looker by day, it shows its most fabulous side by night. That’s when the lights come on and a warm glow seeps from the inside to the outdoors, casting spots of illumination on that elongated pool. Hearing the crashing ocean waves while splashing about in your own pool? 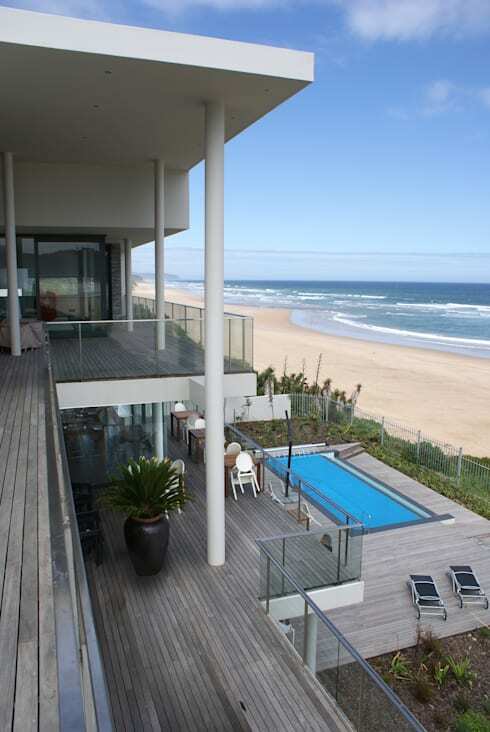 That, together with multiple open terraces and balconies, is this Eastern Cape house’s most fantastic feature (in our books, at least). It takes a second look to spot the swimming pool here – at the top right, wedged right into the main structure of the house. 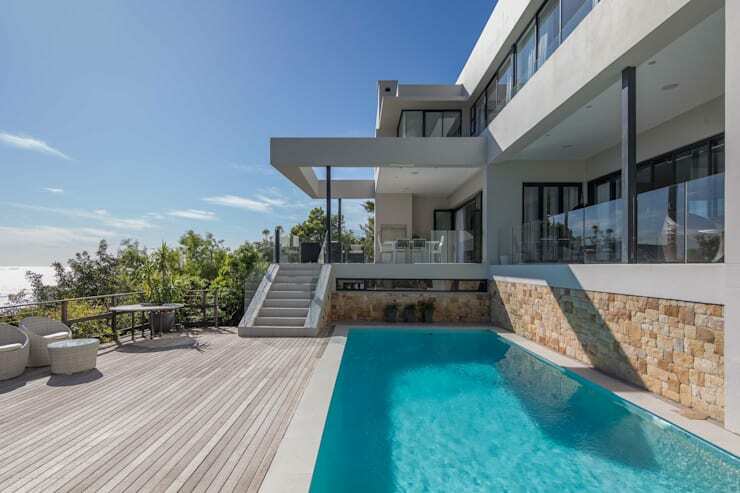 Yes, a delicious floating pool with glass walls is what this Cape Town house offers its residents – along with a generous wealth of style and relaxation, of course. 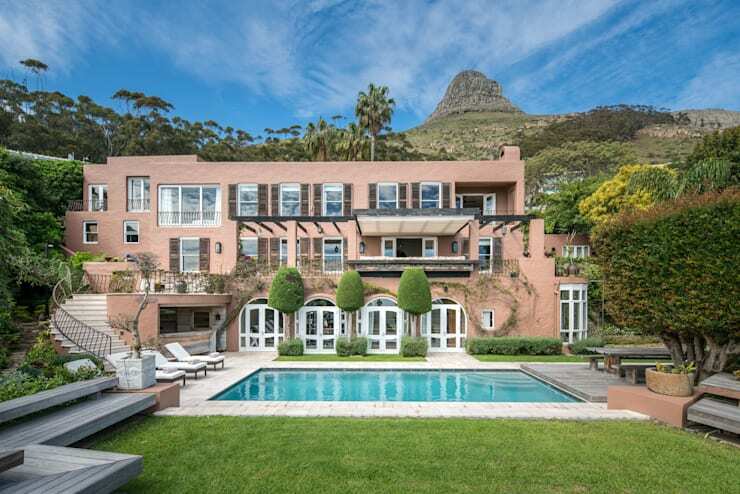 We are quite sure that you’d like to see more of this stunner; go right ahead and discover The Cape Town beauty with a secret. Which of these 10 houses (and pools) is your ultimate favourite?